By now you've probably seen the viral video of a young man in a Make America Great Again hat standing in front of a Native American veteran in the nation's capital over the weekend. As always, there are two sides two the story. Critics say the young man, a student at Covington Catholic School, accosted the veteran, Nathan Phillips, stood in his way and smirked at him. You'd probably think that too, judging by the photo. Most media initially took Phillips's side, accusing the young man of "harassing" Phillips. Some pundits even suggested violence against the Trump-supporting teenager. In interviews, Phillips called the Catholic students racist. As the outrage against the students ensued, a video of the confrontation surfaced to paint a completely different picture. In the footage, Phillips is the first one to approach the MAGA-hat wearing boys. “Video footage strongly contradicts Native American veteran Nathan Phillips' claim that Covington Catholic High School boys harassed him," Reason's' Bobby Soave wrote in a very detailed report. "The media got this one completely wrong." Another student from Covington who was at the rally and witnessed the exchange, corroborated Soave's explainer. The young man himself, who has been identified as Nick Sandmann, a junior at Covington, eventually wrote his own explanation of events. He strongly rebuked the narrative that had been written about him. Some called out the media outlets who ran with their narrative about the young man without all the context. I watched video from every angle & can say this: Covington Catholic kids by no means acted perfectly, but Mr. Phillips is misrepresenting what happened, the homophobic Black Israelites are barely mentioned, & the media + online mob out for the blood of highschoolers is deranged. Before waiting for all the evidence and witness testimony, a Democratic congressman suggested there's only one solution: Ban the apparel. Social media users asked if he was serious. He gave no indication he wasn't. 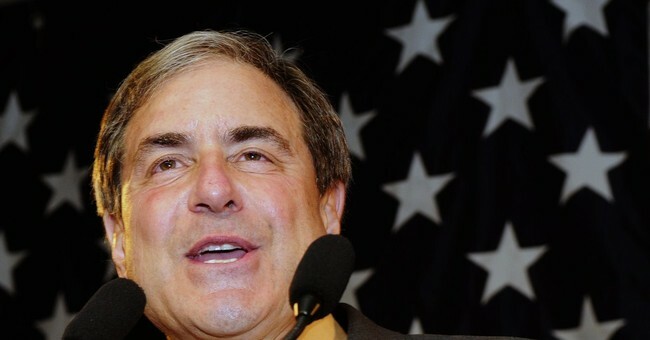 "The conduct we saw in this video is beyond appalling, but it didn’t happen in a vacuum," Yarmuth wrote in another tweet. "This is a direct result of the racist hatred displayed daily by the President of the United States who, sadly, some mistake for a role model." In light of recent events, Yarmuth sent a follow up message.